I’m sitting on a plane on my way back from Dubai listening to my husband, err, shall we say, ‘sleep’ 😊 I have to admit I’m feeling slightly envious. I really struggle to sleep on planes. Partly because I feel a bit anxious about being in the air, partly because I struggle to sleep anywhere other than a comfy bed (oh how I envy all you ‘nod off anywhere’ types) and partly because my mind tends to shift into overdrive when I have time to think without distraction. So what better way to pass the time than to write a blog. I thought I would write about what it’s like to be an ‘instablogger’. I’m using that term because it’s the one I feel most comfortable with. I blog and I ‘instagram’ (Is that even a verb?) I know that the industry refers to me as an influencer, but I will never feel comfortable using that term to describe what I do. You see, I never set out to influence people. I started the blog as a way of sharing. Sharing my love for fashion and putting outfits together and my aim was to provide inspiration for other ladies who had less time to shop or think about what outfits to wear. In the beginning, Instagram was secondary to the blog. It was a way of letting people know the blog was there. I quickly realised that the best way to run my Instagram account was to post daily photographs of what I was wearing each day. But that meant taking photos of myself. Something I am still not entirely comfortable with, believe it or not. Even after three years of taking and posting photos of myself, I become awkward and giggly if I ever have someone else taking my photo. I actually envy poser types. Life would be a lot easier these days if I didn’t care so much about what people thought of me. But that’s a subject for another day, let’s get back to the journey. Before long, Instagram became a place that allowed me to feel connected and less alone. I had spent so long working in an office full of women I called my friends. We shared a lot in our office. ALL the emotions that you’d expect to go hand in hand with a secret office romance, going ‘public’ with a lengthy courtship, an engagement, a wedding, the announcement of a pregnancy, then another (and another! ), the death of a very close family member and everything in between. After almost seventeen years of sharing and doing a job that I loved, I decided it was time for me to leave. It wasn’t an easy decision and I didn’t know what was around the corner, but it felt right. Fast forward a year or so and my following on instagram had grown to around 10k. Then came the introduction of Instagram stories, and suddenly there was a way of showing those following who I really was. The person behind the photos that I was choosing to post every day. Almost always the polished version of myself. I figured people didn’t want to see the un-made-up Chloe. Hardly inspiring, right? Maybe not… I began to realise that it was just as important for people to see the unpolished me if they were going to be able to relate. So stories became my way of connecting with people behind the squares and it still is my favourite part of Instagram. Naturally, the introduction of stories meant that my job as a fashion blogger quickly evolved into me sharing more than just fashion. I started sharing snippets of my family, my cats, parts of my home, my holidays, my days, my thoughts, my health, sometimes even my feelings. And as with every job, there are downsides. The downside to sharing your life with people you don’t actually know, is judgement. I completely understand the judgement. Dare I say I have been guilty of it myself where celebrities are concerned. I am sure we all have. How many times have you read a piece of celebrity gossip and formed your own opinion of people and events? It is human nature and it happens. In my experience, sometimes you’re made aware of the judgement by way of a comment on your feed, a direct message or, for the seriously committed judges, an email. But most of the time, well, in my case anyway, you make an assumption that it’s happening. Take this little trip to Dubai for example. I agonised for days as to whether I should share the trip on Instagram and stories. Surely people would pass judgment. But it was supposed to be a special trip for me and my husband without the children and I didn’t want to ruin it by spending time worrying about what other people were thinking. In the end, I decided to share and I am really pleased I did, because I was reminded that my assumptions of what others think of me and my life are often incorrect. The majority of people that follow me are following along because they care. They are interested. And the minority that follow along just to throw the odd sentence punch every now and then, aren’t worth the headspace. After all, those that matter don’t mind and those that mind, really don’t matter. I suppose that if this job has taught me anything it’s how to be a little more resilient. I’m a work in progress (aren’t we all?!) but I have definitely learnt a lot along the way. If you are reading and on a similar journey, my biggest piece of advice is never to respond to negativity. Most of the time a reaction is desired. All you have to remember is that person doesn’t know you and you don’t know them. And there is absolutely no point in justifying yourself to a stranger. This is without doubt, simultaneously the weirdest and most rewarding job I’ve ever had. I am very realistic about it’s longevity and that is why I have decided to grab every opportunity that comes my way with both hands. (I’m not talking about the paid ones, by the way. I hope you know I’m selective where they’re concerned) This week I have had two amazing invitations for (probably) once in a lifetime opportunities. I will be visiting Port Lympne for a night with Wyse London and then flying to the French Riviera to visit the set of Riviera 2 with Sky Atlantic. Invitations like this can be a little like buses and it will mean that I’m away from the family for a few days, but both my mum and my husband agreed they were opportunities not to be missed. I am going to do my best to enjoy both experiences without making an assumption about judgement. If you have got this far, thanks for reading what has turned out to be a rather long post. Thank you for your support above all, because without you showing an interest in my life and my blog, these invitations wouldn’t exist. I really am very grateful. When you told us you were going to Dubai, I will admit I “passed judgement”, my judgement was that this was a well deserved trip for someone who always seems to put the kids first and who along with her husband deserves to have a lovely break! And you’re right we all judge the famous, but few of us would think to contact them and vocalise our judgement! I can’t really understand the people who have to send negative criticism, maybe it’s down to envy. 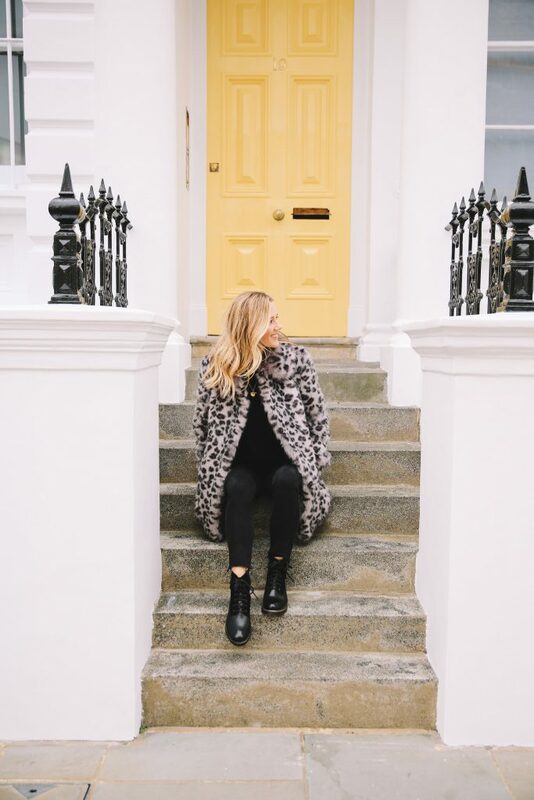 I know some people think that bloggers are living it up all of the time, but bloggers are the same as most of us, riding the highs and lows as best we can! At the end of the day, if I don’t like a bloggers content (and this is as much to do with me as it is with the blogger), then I won’t follow them, no need to make the blogger feel bad along the way! Chloe I think you’re doing a great job. You come across and a very intelligent thoughtful individual. With lovely taste in cats and clothes. I really enjoy catching up with you on instagram. As for tourcrecentvteip shouldn’t you go away with your husband??!! Lovely post Chloe! Blogging and Instagram are fine tightropes at the best of times I think between inspiring people and acquiring judgement. It’s a difficult line to navigate but one which I think you do really well. I have followed you for the past 2 years because when we moved to the USA 2 and a half years ago I wanted to keep a connection with British fashion and British life and for me you have always delivered on both. Congrats on all your achievements and keep going.